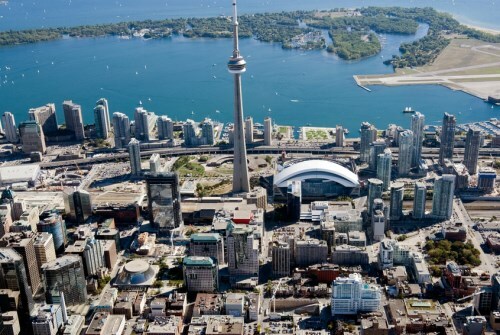 The strength exhibited by the GTA real estate market in 2017 is poised to continue seamlessly into this year, according to the latest report from commercial real estate services provider Altus Group Limited. In the firm’s 2018 GTA Flash Report, Altus outline the key trends that industry players in Toronto should look out for in the coming months. Chief among these is the growing prominence of shared work spaces in office properties. “The trend of renting workstations within a larger office space will grow in the GTA as low vacancy rates lead to higher rents. Look for this segment to grow not just in the downtown market, but throughout the GTA, as employers look to accommodate staff pushed further out in search of more affordable housing options,” Altus stated. On the residential side, land sales are projected to enjoy a strong 2018, with the caveat of greater uncertainty due to higher prices and recent policy changes. New condominium apartment sales volume will likely remain elevated this year, Altus added. “However, surpassing 2017 levels will be a challenge. While investor interest continues to be strong, some end user buyers who have been looking to the new condominium apartment sector for more affordable homes are now starting to be priced out of this segment as well,” the report explained.